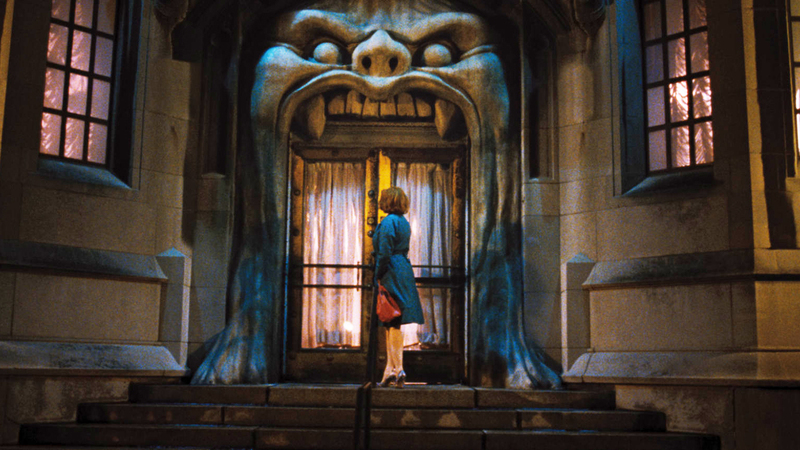 Huge anticipation has been simmering for Ryan Gosling’s feature debut, Lost River (formerly known as ‘How to Catch a Monster’) since it premiered at Cannes last year. 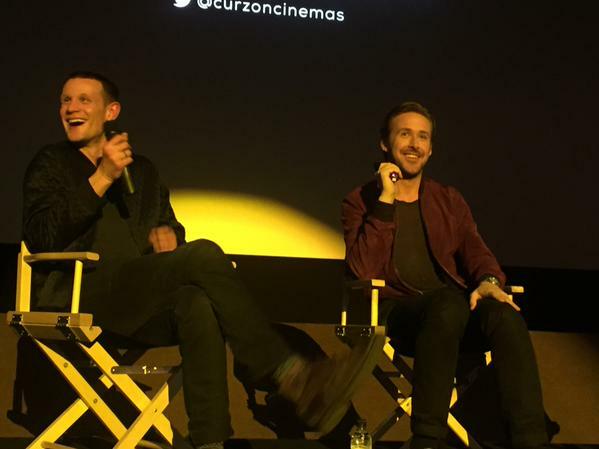 The initial negativity from ‘critics’ felt dismissive and superficial so it was with great enthusiasm that I took my seat at Curzon Chelsea to see the film with Ryan Gosling and Dr Who star Matt Smith in attendance for a post screening Q+A session. It was a fascinating discussion where Gosling spoke about all aspects of Lost River from the selection of Detroit as a setting through to the casting of the likes of Matt Smith and Saoirse Ronan. There was candid conversation on the Canadian’s inspiration for Lost River coming from a wave of films in the 1980s from the likes of David Cronenberg and the use of a dream diary to capture the actor’s inner-most thoughts. As expected, there were several rally cries of ‘marry me’ from the audience and even time for a member of the audience to deliver an emotional pitch for Gosling to star in his movie to which the star coolly replied ‘I’ll give you my number, send me the script’ to great applause. Matt Smith explained how he researched methodically on the inner workings of a psychopath to prepare his role as Bully. Plot: A single mother (Christina Hendricks) is forced into a shady underworld to keep her home whilst her son discovers a mystical town. Gosling’s Lost River is a visually spellbinding dark fairytale that captures the helplessness of a forgotten community amidst the urban decay of a rotting Detroit landscape. The Canadian’s feature debut is clearly inspired by and channels the vision of auteurs such as David Lynch, Nicolas Winding Refn and Terrence Malick. Although the end result is flawed and often disjointed, Lost River dazzles with an array of wondrous imagery that marries art-house with gothic iconography. It’s a visual feast backed by the electronic sound of Chromatics’ pulsating score. Despite containing some of the most striking and deeply memorable imagery seen this year, it feels a little chaotic with Gosling still trying to find his own unique voice. A single mother, Billy (Christina Hendricks), faces economic turmoil and the shattering prospect of being evicted from her home with her two young sons. As she drifts into melancholia, a dark underworld presents itself as a morally degrading option but a valuable source of income. Ben Mendelsohn is terrific and brilliantly cast as the sleazy bank manager offering Billy a shady escape route. A bizarre club where the rich congregate to be entertained by the feigned torture of desperate cash-strapped citizens is hellishly metaphorical. It’s a searing piece of social commentary that rings true for the exploitation of the vulnerable by the institution during the economic downturn. The stunning gothic design of the club is inspired by Le Cabaret de L’Enfer, a Hell-themed café in Paris’ red light district in the late 19th century. Eva Mendes’ kitsch role as owner inspires disbelief and paints her as the devil in disguise. Billy’s desperate efforts to maintain her home leaves her teenage son, Bones (Iain De Caestecker), to care for his infant brother. For all those aspiring to live the great American dream, there are those who suffer a cruel twist of fate and are left stranded in a waking nightmare. It’s the process of this transition where Gosling hones in on. Left in a state of limbo, Bones roams the deserted streets of Lost River and locates a mystical underwater town. Is it a means of escape from his worldly torment? Or simply a dream conjured up with his soul mate, Rat (Saoirse Ronan), as a romanticized avenue of escape from their unfortunate circumstances? This fantastical backdrop is tinged with brilliance, offers stark contrast to the world of the club and blurs reality. The constant danger and antagonist to Rat and Bones escape is local sadist, Bully (Matt Smith). The animalistic Bully howls with rage and seeks conflict at every opportunity. There aren’t any motives given for his deranged behaviour. Is he just a psychopath or a man who’s lost his mind as a result of intense social and financial pressure? He’s almost a vision of what Bones might end up as if his family’s plight isn’t reversed. Smith has a haunting swagger and has created a creature of iconic stature. It’s refreshing to see Gosling continue the trend of exploring diverse and challenging subject matter in Lost River. His unconventional creative selections (such as Only God Forgives and Drive), willingness to go against mainstream sensitivity and the easy pay cheque showcases intelligence required for a top class director. Although Lost River is patchy and far from perfect, there is great room for optimism that Gosling has got what it takes to emulate the successes of those that have so clearly left their mark on him. I sure hope so.